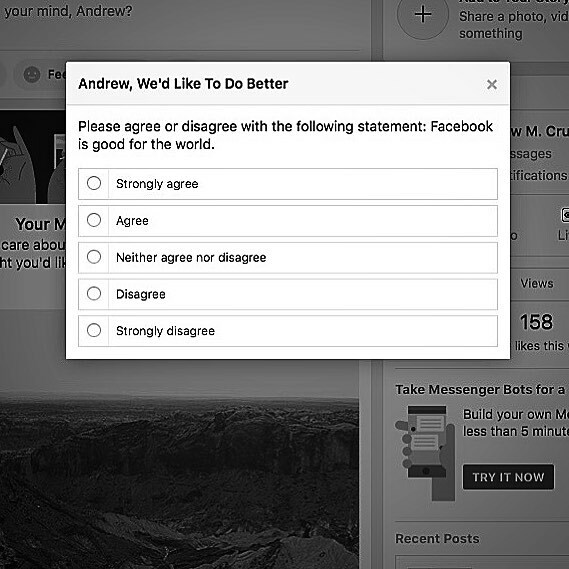 Anyone else get this hilarious question from Facebook HQ? Self-esteem issues much? — can you guess what I answered? Comment your guess & I’ll tell you!